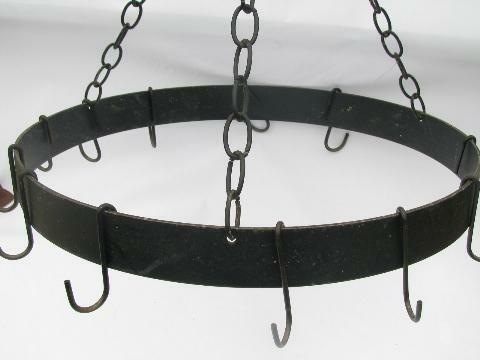 Large round iron hanging rack for pots and pans from an old farm kitchen. Wonderful for hanging copper pots and pans or colorful enamel cookware... very french country kitchen! 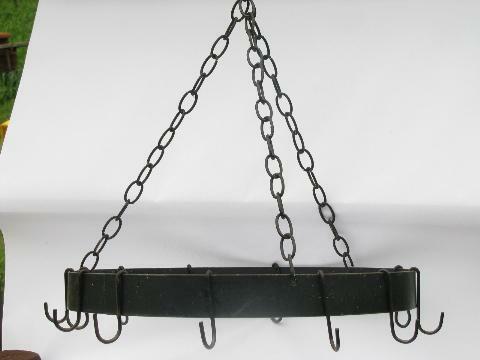 This rack measures 19" across and hangs from the ceiling on about 19" of chain. You can easily change this distance by adding or removing links of chain. 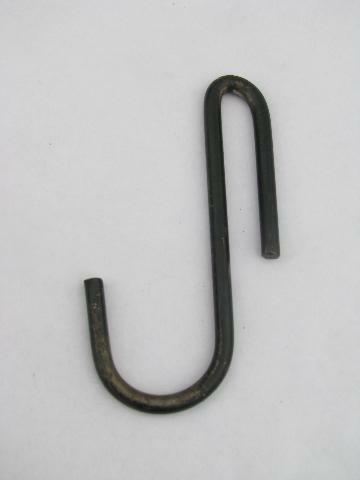 There are included 12 hooks. The hooks measure about 3 1/2" long overall. This is in nice vintage condition.